At this point in her career, finding a new challenge takes some work for Katie Compton. 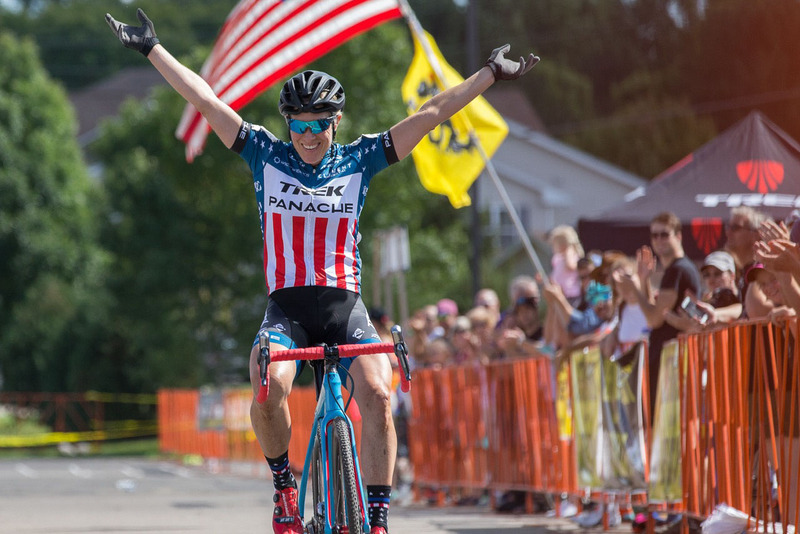 She has set a standard for U.S. national championships that will take a very special rider to beat, podiumed at the world championships multiple times and won enough World Cup races to win the overall series twice. However, one could argue a rider does not earn the nickname “Fn” without constantly pushing what it means to be an Elite cyclocross racer. A few weeks ago we learned Compton’s challenge for the 2017/18 season will be to put down temporary roots in Belgium and race an extended European cyclocross campaign. 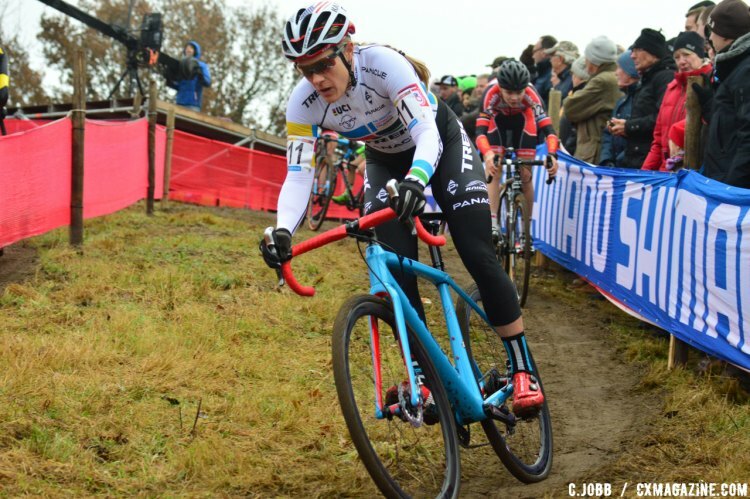 She will kick off the season at the U.S. World Cups and race at the KMC Cross Fest before heading to Europe to race the entire DVV Trofee series that Trek Bicycles began live streaming for free last season. After learning about Compton’s plans, we were curious to learn how she made the decision to race an extended European campaign. Given her relationship with Trek, did the DVV live streaming play a role? And what role did her monster 2016/17 season play in wanting to tackle the European challenge head on? We reached out to Compton to see what we can expect from her European trip this season. 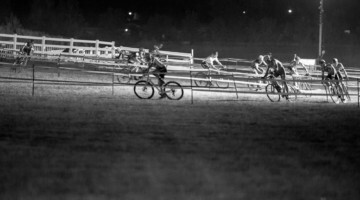 Cyclocross Magazine: Can you provide details on your European racing campaign? Where will you be living? What races are you targeting? Katie Compton: I’ll be racing the DVV series that Trek is live streaming and the full World Cup this season. I’ll also do some other races in Belgium depending on how I feel and where they fall into the schedule. I’ll come back to the U.S. for the Pan-Am Championships and Nationals. I’ll start my season with the two U.S. World Cups and race the KMC Cross Fest in Connecticut before heading to Belgium. I’ll stay in the same place I always do with our Belgian family in Kalmthout. It’s about 20 minutes from Antwerp. CXM: How long have you been thinking about and planning an extended European racing season? KC: Not very long. I’ve always wanted to race more in Belgium but haven’t had the opportunity, and I’ve also enjoyed racing in the U.S. and it’s hard to do both. Now, since I have the option, I want to try it and see how it goes. CXM: What role did the success you had last year from the start of the season play in the decision to race in Europe? KC: None. I take each season one at a time and think about what I would be fun to do and whether or not we can manage it. CXM: What role did Trek and its live coverage play in cementing the DVV contract? KC: Probably quite a bit. Now that the DVV series is live streamed for the U.S. audience, it makes it easier for U.S. fans to watch me race than it would if I was in the U.S. racing the Pro CX series. CXM: Are there any aspects of the extended trip you’re excited or nervous about? KC: Not really, the family we stay with is like a second family and home for us and they live in a place that is really good for training, so I’m not too stressed about it. I am going to buy a SAD lamp for the short days and overcast skies since the lack of sun can affect my moods. I’ll miss my dog and the mountains the most. 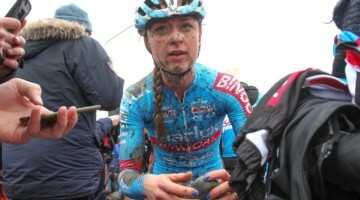 CXM: How important do you think it is for a U.S. cyclocross rider to prove she can do well in Europe to cement her legacy? KC: I think it’s important to be able to perform well on both continents. The racing is different on both sides of the ocean and you have to be experienced, adaptable and strong mentally and physically to do well and get results. Racing in the U.S. is hard, but it’s not like Euro ’cross that’s faster and generally more technical. The conditions tend to be more demanding too, so in order to be successful in Europe, a rider needs to be strong and fast and most likely winning easily in the U.S. first. You also have to manage jet lag and loss of sleep prior to racing in Europe, so starting with a high level of fitness and skill allows you to lose a little bit of that top end and still get results. CXM: What’s new in terms of equipment this year? KC: Everything is the same as it was last season. That makes it an easy transition for one year to the next. CXM: Last year you sort of joked you’re over Worlds. How does being based in Europe change that mindset? Is a rainbow jersey still a top goal? KC: It’s always a top goal, but I approach it differently each year. I’ll do the best I can to prepare for Worlds again, but I haven’t had much luck in that department in recent years. I’ve had some good races in Valkenburg and I like the course, so I have positive expectations that it can happen again. 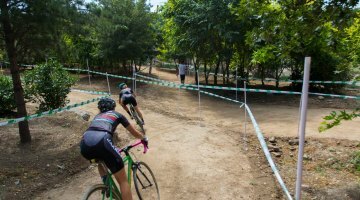 CXM: We see a lot of young female and male talent having success on the road and in cyclocross, but many say cyclocross is their first love or more fun. What advice would you give them in terms of their ability to make a living focusing just on cyclocross? I think getting top results on the cyclocross bike makes a big difference and also you have to have the drive to search out your own sponsors and market yourself as a ’cross rider. I do think it’s important for bike racers to race, or at least ride, and have experience in more than one discipline of bike racing. Being an all-around good bike rider is key for being at the top of your own discipline. They all compliment each other. Stay tuned to Cyclocross Magazine for our in-depth coverage of the DVV Trofee and World Cup series this season.